Andrew from Kammok here. 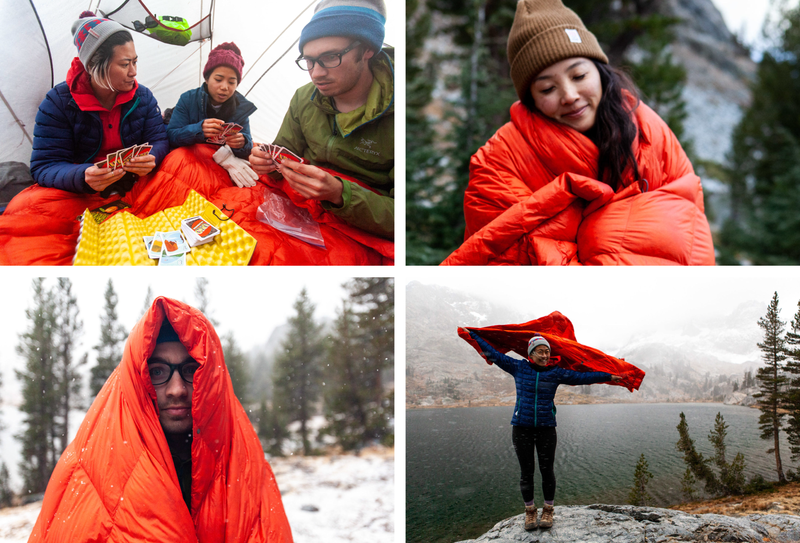 Tomorrow we close our sixth Kickstarter the campaign, the Bobcat - a packable quilt from trail to travel. The Bobcat boasts of many notable features, but in the early stages of copywriting and product detailing, we found ourselves always looping back to two qualities –– its versatility and travelability. 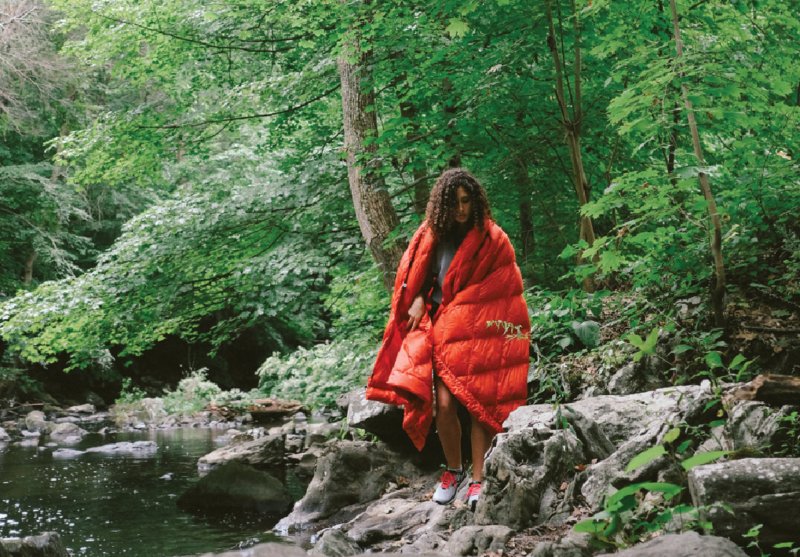 The down quilt weighs in at a mere 20 oz , sports a handle, and compresses to the size of a football. 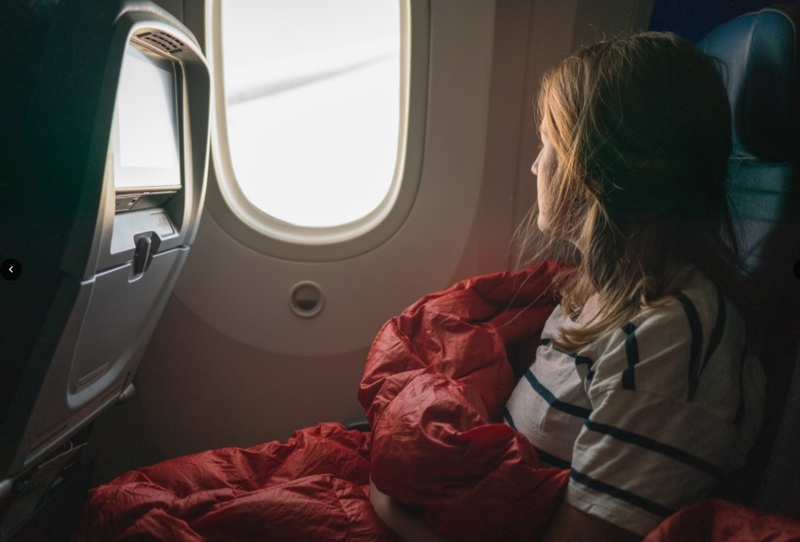 You can take it in the backcountry as a sleep system, or use it to warm up on the couch. You can even wear it as a cape (highly recommended). 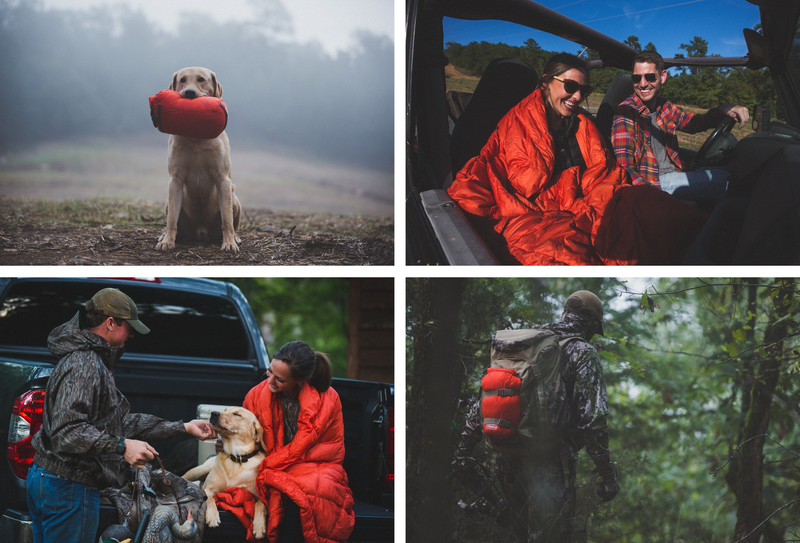 The Bobcat’s 45º warmth and packability were begging for a fall adventure. As soon as we received final samples, I reached out to a few friends of Kammok, asking if they’d play host to the Bobcat for a night or two. 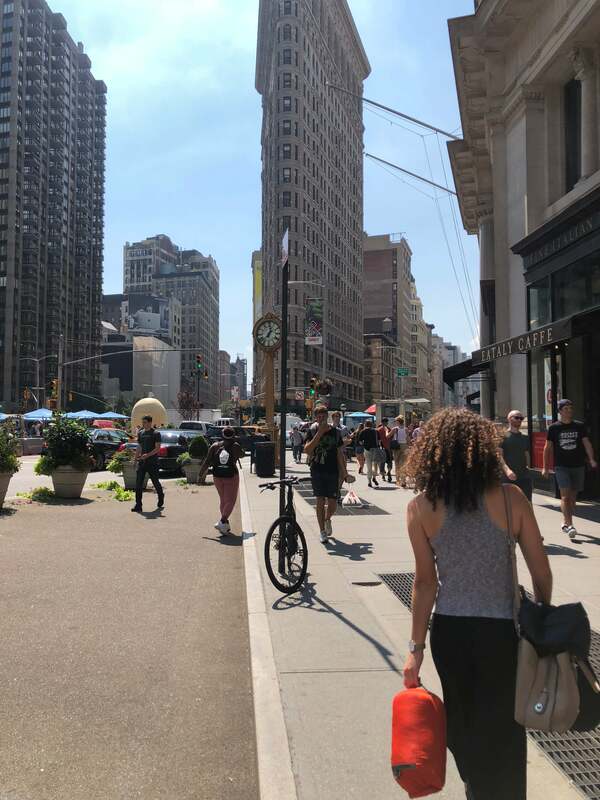 Within hours, the Bobcat’s journey was mapped out and the #TravelingBobcat was born. 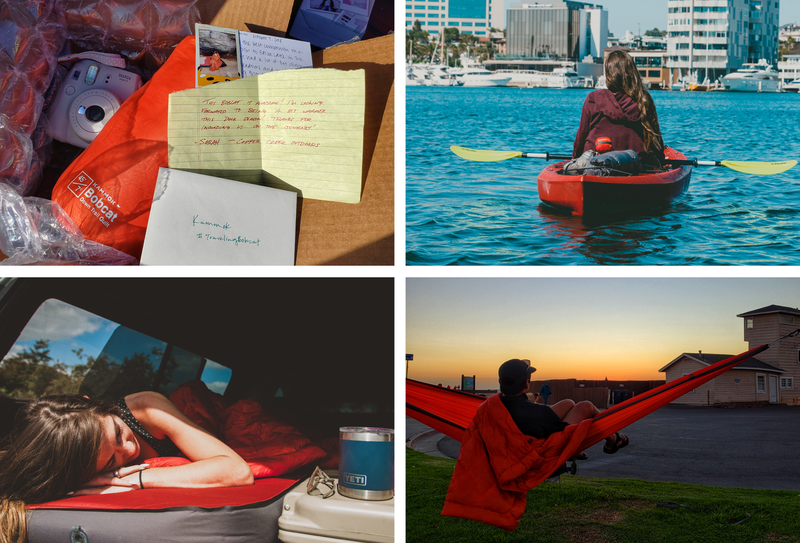 With Polaroid camera in tow, the Bobcat left Kammok HQ in Austin to its first stop in Little Rock, Arkansas. Sarah, Austin, and Bear Crabill of Copper Creek Outdoors received the Bobcat first and took it on their weekend ventures. The Bobcat experienced a few treasures the Natural State offers – world-class hunting, fishing, and a slower pace in the outdoors. When I asked Sarah how the Bobcat held up, she noted that the rain and mud beaded right off, and even Bear’s teeth wasn’t a match for its fabric. In Arkansas, the Bobcat surprised me with its durability and thoughtful construction. Next, the Bobcat traveled to William Reed in Dallas, landing on a beautiful Tuesday in early October. 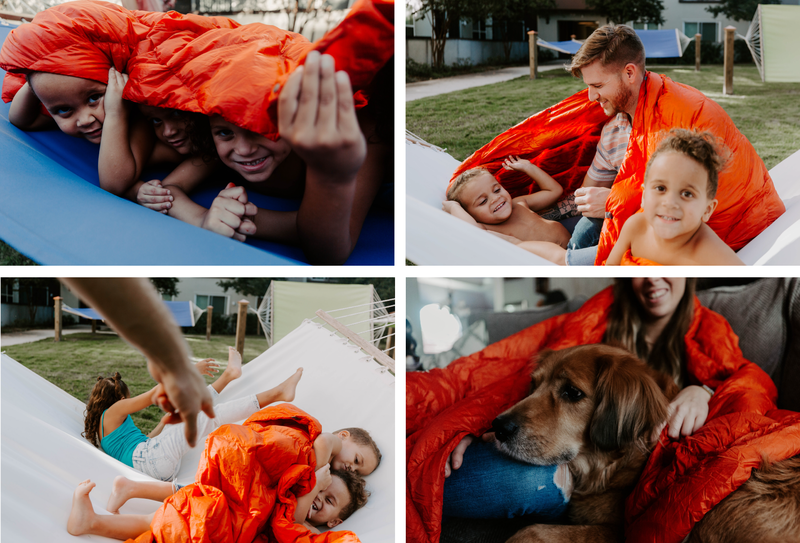 Time with family and friends is what William’s all about, and the Bobcat was able to join in on the fun and “maximum chill.” From a dog named Travis to backyard hangs with the little tykes, the Bobcat was loved deeply and prompted tug-and-pulls for warmth in the hammock. Next, the Bobcat snuck down to SoCal for hangs with Peter Pham. 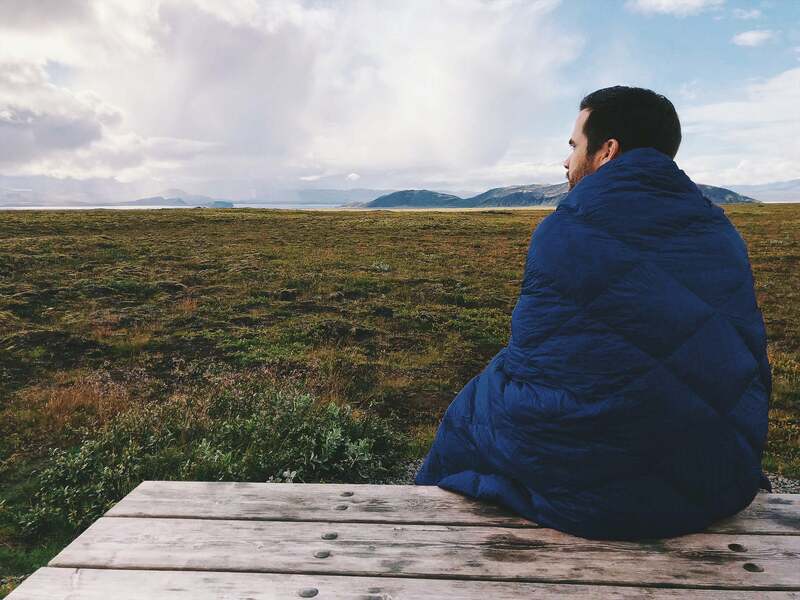 I connected with Peter on the Camp Kammok facebook page, learned about his love for gear and backcountry adventure, and made a note to wrap him into product testing. Peter took the Bobcat to new waters (literally) and challenged its versatility in the sunnier weather. Like its namesake, the Bobcat adapted with ease. When the Bobcat arrived in Seattle with Greg Blakin, it had no idea of the rich experience to come. The Enchantments is an alpine paradise. 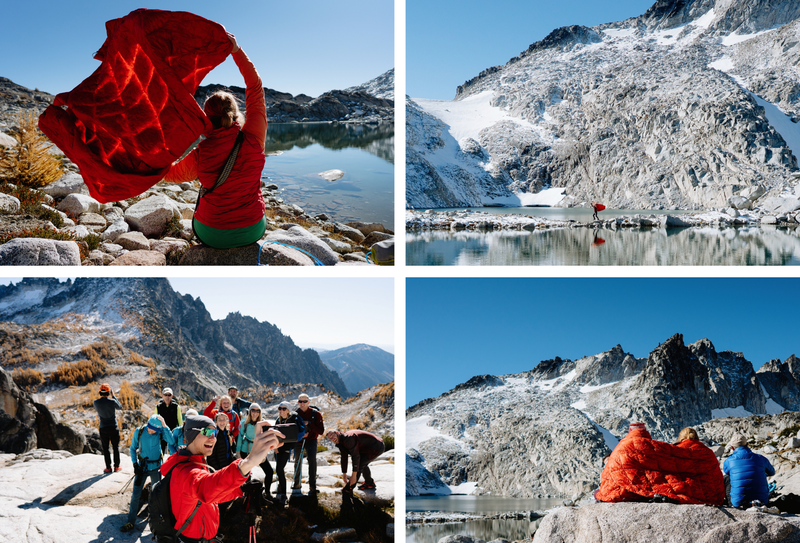 Magnificent glaciers, striking larches, and impossibly hued lakes and peaks makes the Enchantments a bucket-list item for many. The Bobcat was small enough to pack in the bottom of Greg’s day pack, and made its debut as the perfect lunch break cover. 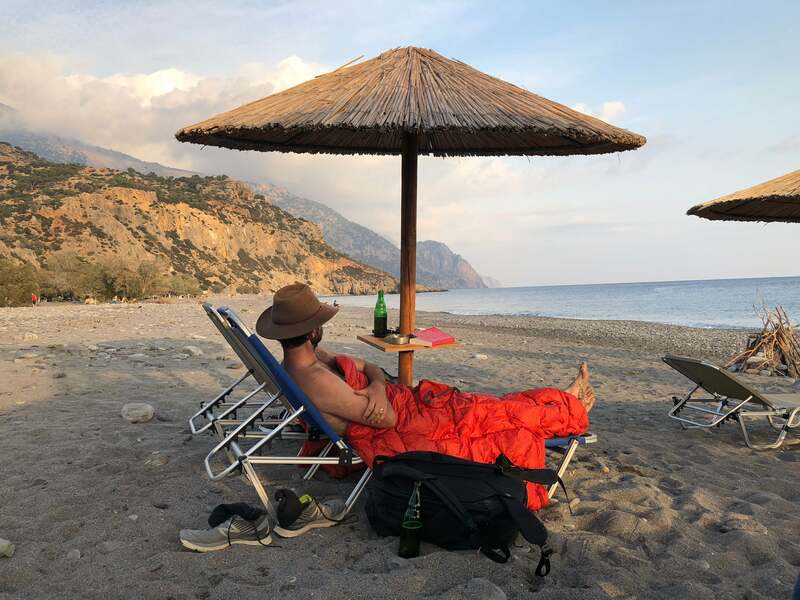 To put it short, this quilt is living the dream. 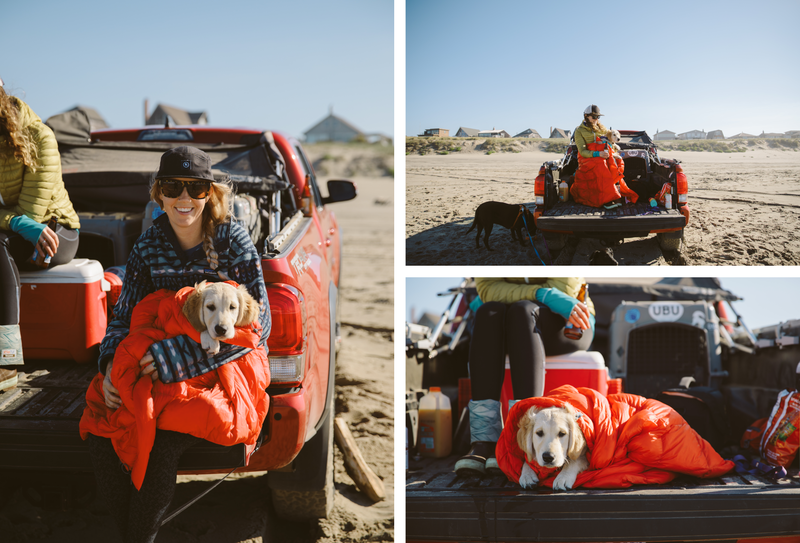 Pinning down the Kantors of Cedar and Pines was worth the detailing in logistics – Megan and Nate are currently building out their Adventure Burrito and sport a life on the road. The Bobcat tracked them down in Salt Lake City, and went along to the Great Salt Lake for a quick shoot and play on the flats. Megan and Nate are adventurous wedding + elopement photographers, masters of capturing feelings in images. With the Bobcat, they did just that. 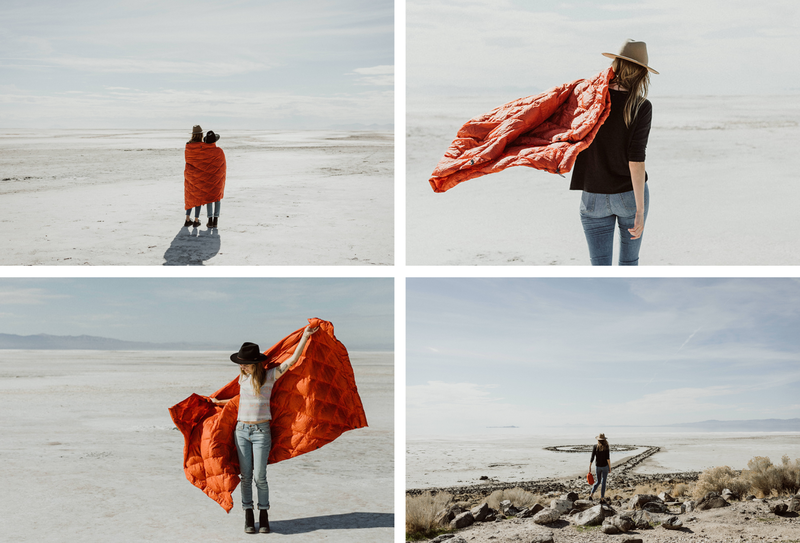 Hats, new friends, a desert shoot, and the famous Spiral Jetty made SLC a special pitstop for the Bobcat travels. Elena of Find Me Outside was a spontaneous recipient to the Traveling Bobcat, and the stoke was real. Below is a screenshot from an email from Elena the moment she received the Bobcat. Pup and Elena approved, I am so grateful the Bobcat found its way to Oregon coast for a final pitstop! It’s an interesting thing to be inspired by a quilt. In under a month, the single Bobcat traveled the States meeting people where they’re at. It provoked conversation, laughter, and adventure. 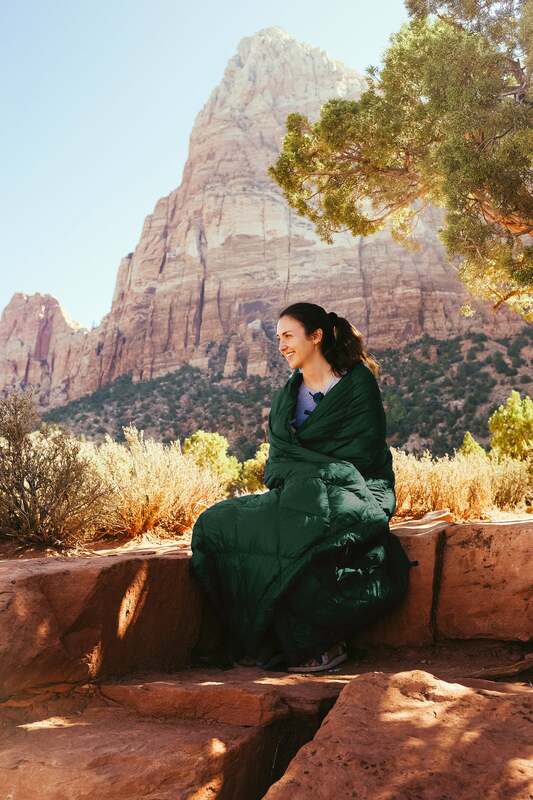 The quilt did not lessen its performance based on recipient background, identity, or location, but remained consistent in its ability to bring people together in the outdoors. There’s a lot to learn from this quilt. Our Kickstarter campaign closes Friday, October 26. You can the Bobcat here on Kickstarter. 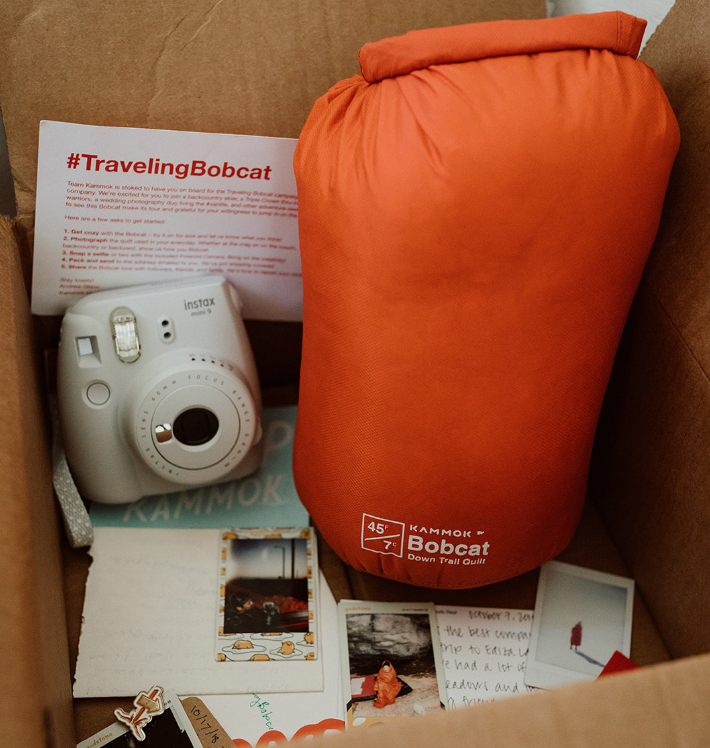 Let us know where it takes you by using the #TravelingBobcat on Instagram.